Are you tired of living in the buzzing city? Do you desire more privacy and a laidback, suburban environment? A rare gem! Jupiter Farms 5 acre estate near Lady Jean riding facility.3-4 bedroom, formal dining, CBS, ranch style home with living and family rooms. Exterior: New roof and freshly painted. Interior:new carpet, appliances, freshly painted, and decorated beautifully. Granite and maple kitchen cabinetry, reverse osmosis water supply and pocket doors. Two stall horse stable with tack room. could be enlarged to 10-12 horse stables. Cross fencing. This custom built home will wow you when entering. This beautifully renovated home boast 4 bed/ 3 baths in the Main house! Features include: a gourmet kitchen w/white wood cabinetry, large center island with full slab granite, high end stainless steel appliances incl. a Thermador gas stove, custom plantation shutters, vaulted ceilings, lovely European oak floors that run throughout the house, formal dining and a family room w/ coral fireplace. Jupiter Farms is a unique rural community with a suburban feel, nestled just west of Indiantown Road and the Florida Turnpike. It is best known for its large property sizes from an acre and up. The great location and great weather gives you the best of both worlds. 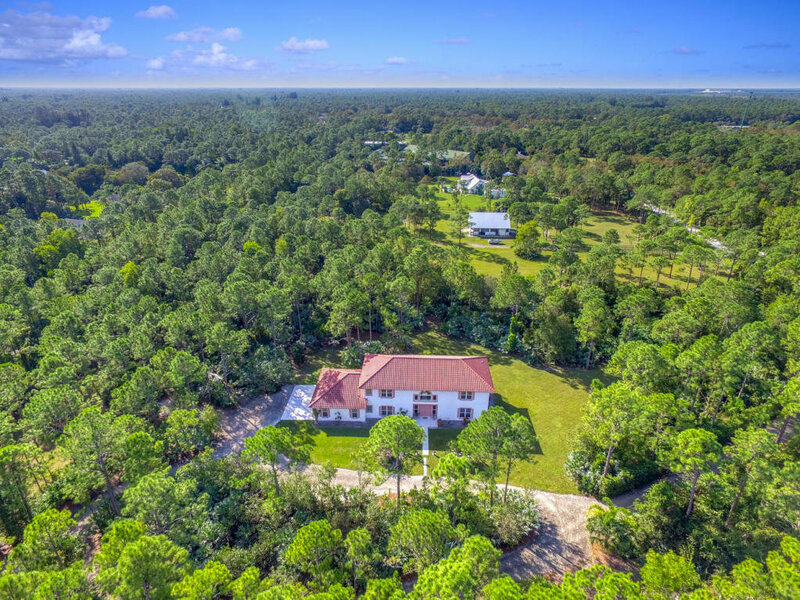 You can live in an area that will give you that country, small town feel, while having what the Palm Beaches can offer just a couple of minutes away. The Farms is now the home of around 12,000 residents, who by the way, do not have to pay homeowners association fees. Its population is composed of 95.19% white and about 2.85% are African American. The community’s economy is thriving with a low unemployment rate and only 10% poverty rate. Most of the residents own their houses and only 8% are renting. Best of all, The Farms has a low crime rate, 62% lower than that of Florida itself. This says a lot about the community, doesn’t it? Finding a school for your children is also not a problem. Jupiter Farms has both public and private schools such as Jupiter Farms Elementary School or you can also choose from schools nearby in the School District of Palm Beach County. Rural as it is, you need not worry about finding something to do. There are a lot of places to visit and things to see in Jupiter Farms. Riverbend Park is just around the corner and a 10 to 20-minute drive can get you to nearby restaurants, malls and sunny beaches. Miles of trails are also available if you want to get in touch with nature which are perfect for bikers, hikers and equestrians alike. So, if you want luscious foliage, ample space and a family oriented, peaceful and small town feel…Jupiter Farms is the best place for you.